A private cloud is a model of cloud computing in which a partitioned and secure cloud based environment is provided for individual clients. As with any other cloud model, private clouds provide computing power as a service within a visualized environment using an pool of physical computing resource. However, the private cloud model, this computing power is only accessible by a single organisation providing which offers greater control and privacy. Public and private cloud deployment models differ. Public clouds, such as those from Amazon Web Services or Google Compute Engine, share a computing infrastructure across different users, business units or businesses. However, these shared computing environments aren’t suitable for all businesses, such as those with mission-critical workloads, security concerns, uptime requirements or management demands. Instead, these businesses can provision a portion of their existing data center as an on-premises — or private — cloud. A private cloud provides the same basic benefits as that of a public cloud. These include self-service and scalability; multi-tenancy; the ability to provision machines; changing computing resources on-demand; and creating multiple machines for complex computing jobs and business units pay only for the resources they use. 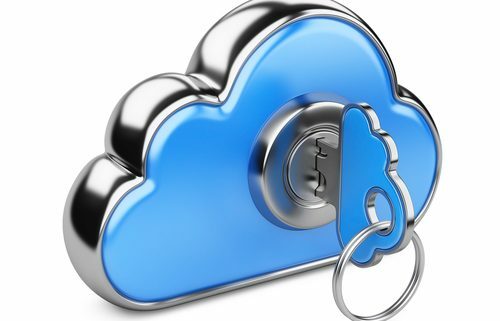 In addition, private cloud from Computers in the City offers hosted services to a limited number of people behind a firewall, so it minimizes the security concerns some organizations have around the cloud. Private cloud also gives companies direct control over their data. http://www.netcal.com/wp-content/uploads/2016/05/Private-secure-cloud.jpg 375 500 Conal Mullan http://www.netcal.com/wp-content/uploads/2015/11/netcal_logo2.gif Conal Mullan2016-05-27 01:41:022018-06-03 17:31:22What is Private Cloud Hosting? Service Desk vs Help Desk Services – What’s the Difference? Service Desk vs. Help Desk. Hmmm. But…aren’t they the same thing? If that’s your reaction, you’re not alone. It’s generally agreed there’s some gray area involved. So why make a big deal about it? While strikingly similar at first glance, a closer and more practical look reveals differences that go beyond tomato-tomahto, potato-potahto wordplay. Because each represents a distinct strategic approach, determining whether you need one or both—and understanding why—can impact how your IT organization operates and satisfies customers. Our goal here is to help uncomplicate the topic with some break-it-down basics. In differentiating between the two, ITIL looks at the IT process from beginning to end, mapping how they should be integrated into the overall business strategy. The service desk is a key component of managing the overall process from a strategic ‘big picture’ cross-organizational perspective. It reviews the overall IT processes and functionality. The help desk feeds into the service desk with a tactical, day-to-day role in responding to end-user needs. An overview of specific functions helps clarify. 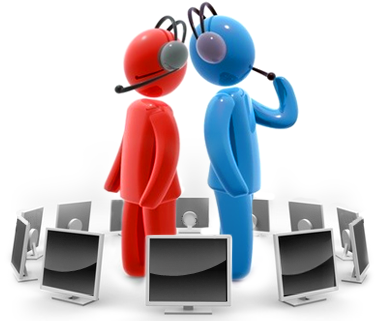 A help desk is an absolute essential for providing actionable, technically skilled resources for problem resolution. Since a service desk generally takes a more proactive stance, addressing issues of a less urgent technical nature, some companies may not yet have need for its broader offerings. Regardless of strategic and tactical differences, the bottom line is help desks and service desks share a common ‘reason for being.’ Their purpose is to meet the ever-heightening expectations of technology users—both internal and external to your organization—for the best possible service experience. If that goal is being successfully accomplished, you can most likely relax about sweating the semantics. http://www.netcal.com/wp-content/uploads/2016/05/people.png 330 381 Conal Mullan http://www.netcal.com/wp-content/uploads/2015/11/netcal_logo2.gif Conal Mullan2016-05-18 05:54:282017-06-30 03:18:39Service Desk vs Help Desk Services - What’s the Difference? From smartphones to tablets, mobile devices in the workplace are here to stay. Employers are happy to let employees access company email and other corporate data from mobile devices, but they often underestimate the security risk to their IT network. Whether your clients embrace a Bring Your Own Device (BYOD) model or provide devices to their employees, it’s critical to protect their IT infrastructure against security breaches and safeguard the confidential information that can be accessed if a mobile device is lost or stolen. Keep your clients safe from mobile security threats with mobile device management (MDM). IBM MaaS360 is the trusted mobility management solution to thousands of customers worldwide—from small businesses to Fortune 500 companies. It makes working in a mobile world simple and safe by delivering comprehensive mobile security and management of emails, apps, content, Web access and mobile devices. This award-winning platform streamlines the way IT professionals manage and secure the proliferation of mobile devices in the workplace throughout their entire lifecycle. LabTech Software and IBM MaaS360 are jointly scoping the development of integration, enabling partners to utilize a single-pane-of-glass to manage users, desktops, servers, virtual systems, network devices and mobile devices. Between catastrophic natural events and human error, data loss is a very real threat that no company is immune to. Businesses that experience data disaster, whether it’s due to a mistake or inclement weather, seldom recover from the event that caused the loss. The saddest thing about the situation is that it’s possible to sidestep disaster completely, specifically when it comes to data loss. 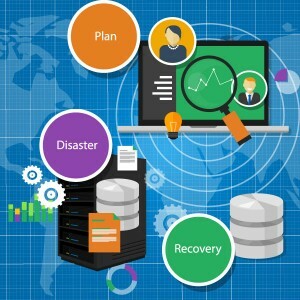 You just have to take the time to build out a solid backup disaster recovery (BDR) plan. Things to consider when developing your BDR plan include: structural frameworks, conducting risk assessments and impact analysis, and creating policies that combine data retention requirements with regulatory and compliance needs. If you already have a BDR plan in place (as you should), use this checklist to make sure you’ve looked at all the possible angles of a data disaster and are prepared to bounce back without missing a beat. Otherwise, these steps chart out the perfect place to start building a data recovery strategy. Unfortunately, there’s no universal data recovery plan. As needs will vary per department, it’ll be up to you, and the decision makers on your team, to identify potential weaknesses in your current strategy, and decide on the best game plan for covering all of your bases moving forward. Especially in the case of a real emergency, it’s important that everyone on your team know and understand their role within your BDR plan. Discuss the plan with your team, and keep communication open. Don’t wait until the sky turns gray to have this conversation. The difference between proactive and reactive plans comes down to consistent checkups. Schedule regular endpoint reviews, alert configuration and backup jobs. Test your plan’s effectiveness with simulated emergency. Find out what works, and what needs improvement, and act accordingly. You’ll appreciate having your offsite storage instructions, vendor contracts, training plans, and other important information in a centralized location. Don’t forget to keep track of frequency and maintenance of endpoint BDR! Which brings us to point 5. Explore your options. There are many BDR solutions available on the market. Once you’ve identified your business’ unique needs, and assembled a plan of action, do your research to find out what these solutions could do to add even more peace of mind to this effort. Or, if you’re an employee hoping to get the green light from management to implement BDR at your company, providing documentation with metrics that justify ROI will dramatically increase your likelihood of getting decision-makers on board. Outside of these 5 components, you should also think about your geographical location and common natural occurrences that happen there. Does it make more sense for you to store your data offsite, or would moving to the cloud yield bigger benefits? One thing is certain: disaster could strike at any time. Come ready with a plan of action, and powerful tools that will help you avoid missing a beat when your business experiences data loss. At LabTech® by ConnectWise®, we believe in choice, and offer several different BDR solutions that natively integrate to help you mitigate threats and avoid costly mistakes. Copyright © 2004 - 2017 NetCal Consulting, Inc.